Some roof repairs can’t wait. A strong storm, whether heat, hail, rain or snow, can leave your roof in need of emergency roof repairs. While it’s highly recommended that you leave most repairs to the pros, some repairs need to be handled as soon as possible. Here are some tips and tricks to help you handle emergency roof repairs when they come up. If you feel like the storm is causing damage to your roof, don’t brave the weather and check your roof as it’s happening. Wait for the weather to calm for a moment, giving you plenty of time to assess the damage. Minor damage can sometimes be fixed temporarily on your own, but major damage requires a contractor. When your roof is damaged and leaking, it’s easy to forget about your household items and furniture that can be damaged by the unwanted drips. Be sure to move furniture and anything in the way of the leak, and place a bucket or trough of some sort to contain the water in one area. A cover of some sort, or a temporary roof may necessary as well if the damage is significant. Any free standing water and puddles should be removed immediately to prevent mildew, rotting, and insects. 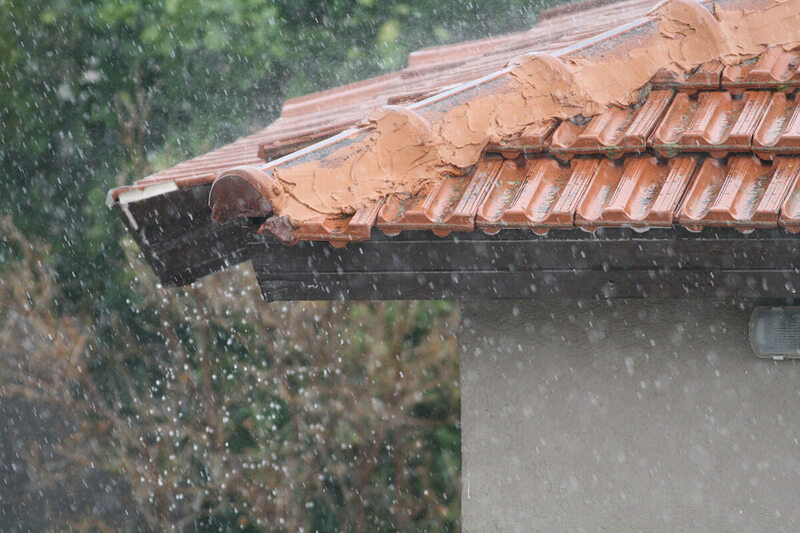 When your roof collects rain water, it can lead to further damage and costly repairs. If your roof damage is extensive, know when to call an expert. By simply texting 432-312-8705 , Chappell Roofing will get you a quote and a free inspection within 24 hours. Perfect for those ASAP jobs. Chappell offer repairs, replacements, ventilation, as well as stucco work. Call, text or fill out our form below for the quickest, most reliable roofing services in the Permian Basin.